Moldy mung beans, heavy tri-folds, late nights, and more stress than any 10 year should experience. That about sums up my science fair experience, so glad those days are over! 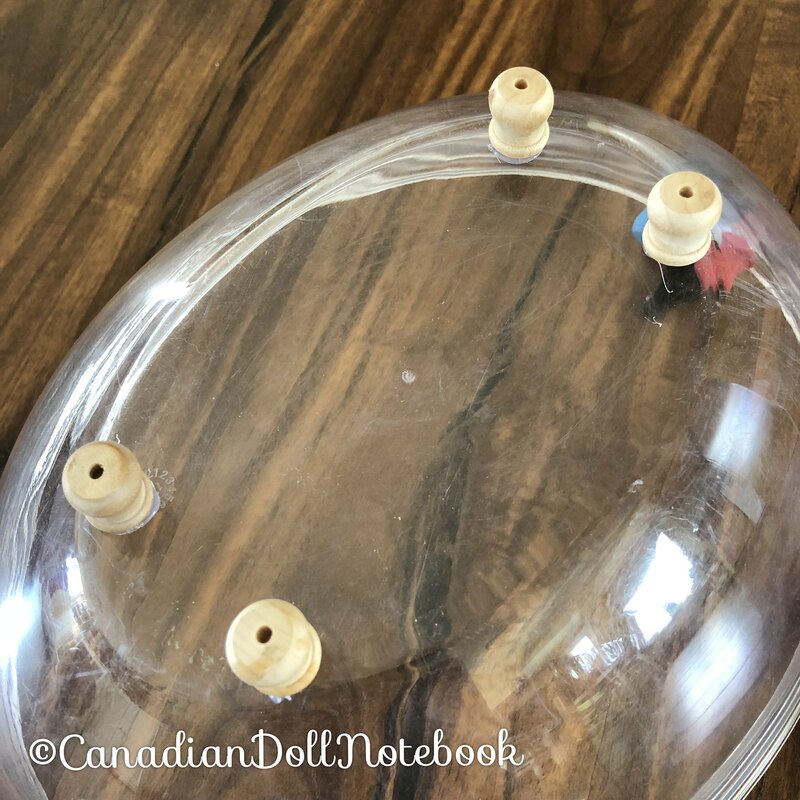 My daughter, Deedee and her friend ended up putting together a fabulous science fair project with bath bombs. 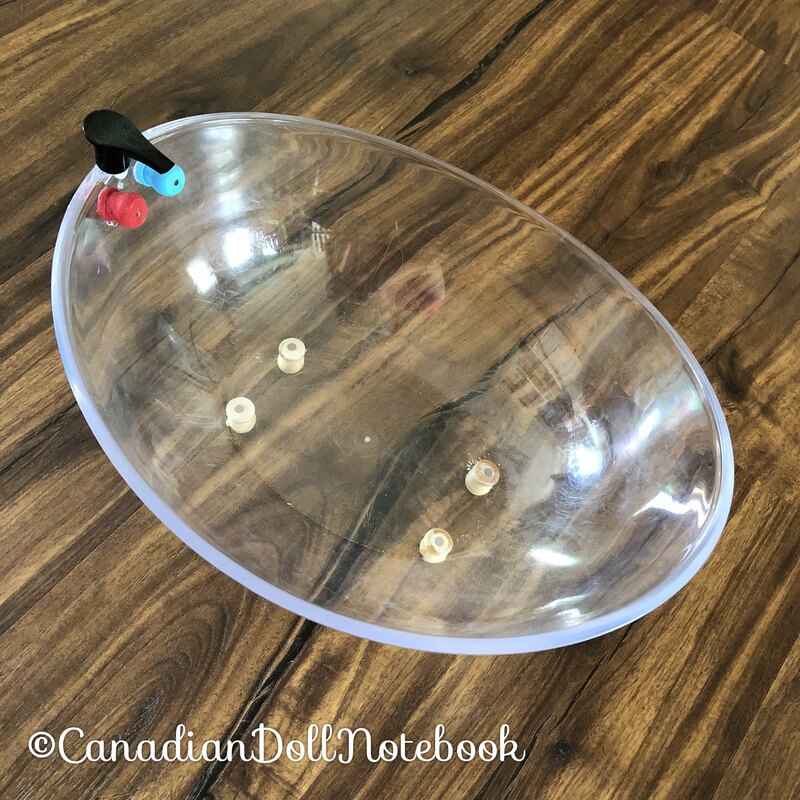 To demonstrate how the bath bombs work during their presentation, Deedee’s friend’s mother made the most adorable miniature bath tub. Are you thinking what I’m thinking??? 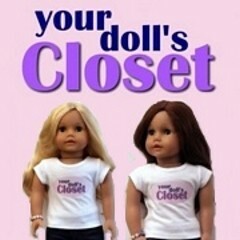 Right, this would be perfect for our dolls!!! I asked her to share the details of making this mini tub with me, and now I will share them with you! This DIY project is incredibly simple, and fairly inexpensive. Glue four of the wooden knobs to bottom of the bowl. Paint one knob blue, and other red, allow to dry. Once the knobs are dry, glue the knobs to one end of the bowl side by side to be the hot and cold water taps of the tub. Next, glue the top of the soap pump above the two taps to be the water spout. Last step! 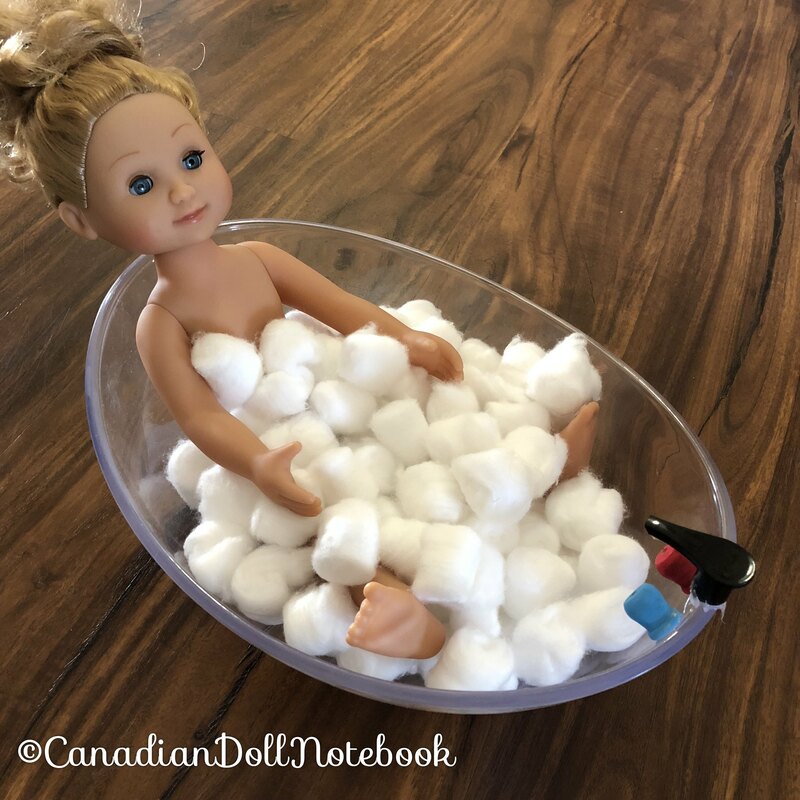 Once the glue has dried, place your doll inside the tub, cover her with “bubbles” of cotton balls, and allow her to have a post-science fair de-stress. Really??? I find when my ears are plugged my balance is really off… very interesting!